Kumail Nanjiani and Emily V. Gordon, co-hosts of video game podcast The Indoor Kids, join us to share their favorite new releases. Their first pick is Ms. Splosion Man, an imaginative platformer newly available on iOS. (Think Super Mario meets spontaneous self-combustion.) 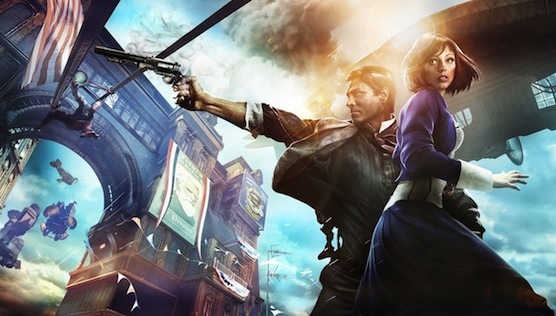 For a lengthier experience, check out BioShock Infinite, which (literally) takes the first BioShock to even greater heights. Nearly ten years have passed since the release of writer/director Shane Carruth's first low-budget film, a complex time travel movie called Primer. Film fans are still obsessed with teasing out the intricacies of the story, about a time-travel machine and the men who engineered the machine. But within that story, there are emotional and ethical struggles that keep the audience riveted -- a quality that's become a hallmark of Carruth's small but powerful filmography. Carruth wrote, directed, starred and composed all of the music for Primer, and he had the same all-consuming roles in his new film, Upstream Color. The movie is just as difficult to explain as his first. 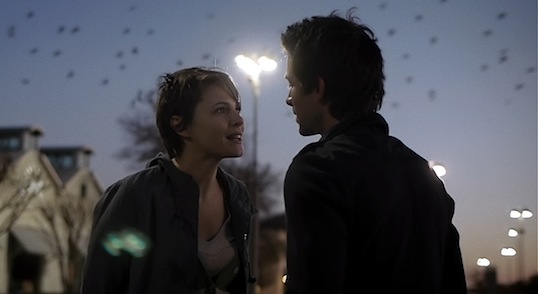 Upstream Color's two lead characters seem to have a shared experience of bodily manipulation, and cling to that sameness because they have nothing else. The movie delves deeply into identity and loss, and comes through with a powerful emotional experience. Shane Carruth joins us to talk about the upsides and downsides of independent filmmaking, why plot summary doesn't always get to a movie's heart, and the best James Bond movie that will never be made. Upstream Color is in select theaters nationwide. The film is available on DVD, Blu-Ray, and on demand on May 7. 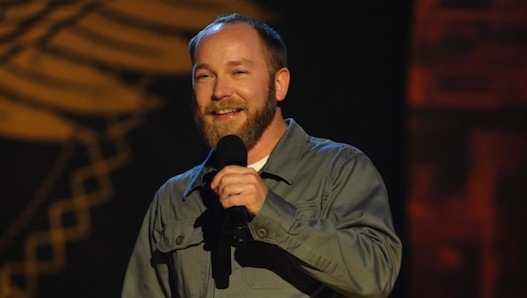 Kyle Kinane had a problem. He was craving fast food, but he'd had a little too much to drink. But he found a solution. It involved a little bit of ingenuity, a wallet's worth of cash, and a very patient cab driver. This clip comes from Kyle Kinane's latest special, Whiskey Icarus, which is available as a digital download or a CD/DVD. He'll be performing at MaxFunCon 2013 in late May. 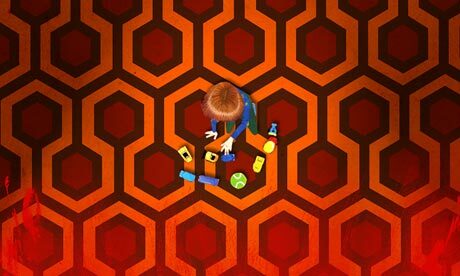 Stanley Kubrick's movie The Shining made a huge cultural impression. It's a classic horror movie about the psychological tolls of isolation, the dissolution of a family, the Holocaust, and how Kubrick helped fake the moon landing. Wait a second. The Holocaust? Moon landing? Yep. The new documentary Room 237 features increasingly eye-widening theories about the hidden subtexts of The Shining. Movies often inspire intense debate over authorial intent, but Kubrick's known perfectionism and deliberate filmmaking often take this discussion to another level. Room 237's director Rodney Ascher sits down with us to discuss some of the film's more creative theories, as well as whether or not there's such a thing as too much interpretation. Room 237 is out now in select theaters nationwide and available on video on-demand. Pop music is usually for young people – what better audience is there for short, simple, high-energy music? But what does pop music sound like when it grows up? 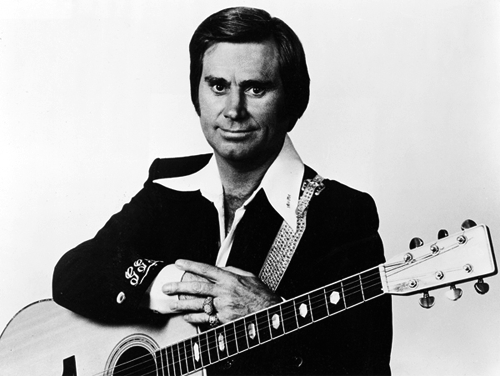 To answer that question, Jesse takes a look at a song by George Jones, called The Grand Tour.